In April of 2015, the city council and mayor formally adopted a resolution stating its support for the development of USBR 90 (US Bicycle Route) through the City of Apache Junction. (full text of resolution below). This included a badly-need resurfacing of Apache Trail, the main thoroughfare through town, and included the addition of designated bicycle lanes, completed in May of 2015. Welcome to Downtown AJ…here’s what’s happening! “Try to drive that stretch holding a hot cup of coffee!” That’s nothing. Try riding that road on your motorcycle. You’ll think you’re on a bucking bronco. That’s the essence of an actual conversation I overheard between two men several months ago. And, unfortunately, they were referring to the main commercial corridor that runs through our downtown and provides access to the majority of businesses found in Apache Junction… yes, Apache Trail. Roadways have a finite life span and need continual maintenance and occasional reconstruction to keep them in a drivable condition. It’s typically “gas tax” dollars that get reinvested into these maintenance projects and drivers and vehicles happily moving along. Unfortunately, as the Apache Trail began to see signs of aging and wear, something else started to break down…the global economy! The recession took a hard hit on everyone. People began spending less, budgets were being cut everywhere, and in the case of the State of Arizona, funds were being swept to cover essential services. This was the case for those “gas tax” dollars. The actual name for this tax is Highway User Revenue Funds (HURF). At one point, and even until today, a portion of HURF dollars that the State had allocated to cities for road maintenance and repair was swept – swept out of the local cities’ coffers and into funds to cover state police services. 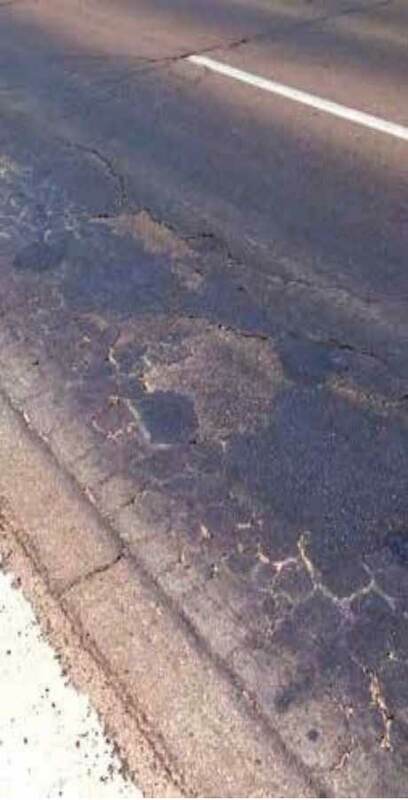 For Apache Junction, this meant going from $7.3 million plummeting to only $3.8 million to maintain and repair all the miles and miles of streets throughout the city. The longer nothing was done, the worse the condition and the more expensive it would become to fix. Based on its current condition, engineering estimates quoted the price to fix the Apache Trail would be $3 million dollars. If they were to wait just five years, 2020, that cost would skyrocket to $12 million dollars. Wasting time meant wasting money. It became clear to the city council that something had to be done. Tough decisions had to be made. So, after much research, discussion and consideration, the city council voted (5-2) to pass a temporary ten-year sales tax. The tax was two-tenths of 1% and would be dedicated to paying for road improvement projects with Apache Trail as the priority project. To put the tax increase into perspective, for a $10 purchase made in the city, the tax charged would go from $0.89 cents to $0.91 cents. After the vote, the Public Works staff worked to complete the de-sign and construction bidding. 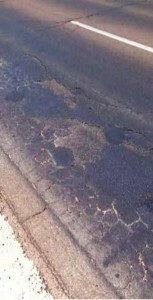 By April 2015, the city council approved the contracts that allowed the curbing and paving work to begin. Through the latter part of April and through the month of May, the construction was underway. While road construction is never convenient and despite the temporary lane closures, business access remained open at all times. The final touches were completed the last few days of May which included striping and the addition of a new bike lane! A RESOLUTION OF THE MAYOR AND COUNCIL OF THE CITY OF APACHE JUNCTION, MARICOPA AND PINAL COUNTIES, ARIZONA, STATING ITS SUPPORT FOR THE DEVELOPMENT OF U.S. BICYCLE ROUTE 90 THROUGH THE CITY OF APACHE JUNCTION. WHEREAS, the City of Apache Junction has duly considered the proposed USBR 90 route and found it to be a suitable route through the Arizona corridor and desires that the route be formally designated so that it can be appropriately mapped and potentially signed, thereby promoting bicycle tourism in the Apache Junction area. 1) It hereby expresses its approval and support for the development of USBR 90 through the City of Apache Junction as depicted on the attached map (Exhibit A) and requests that the appropriate government officials take action to officially designate the route accordingly as soon as possible. 2) The City of Apache Junction may choose to post and maintain signs for the bicycle route once the designation has been made. PASSED AND ADOPTED BY THE MAYOR AND CITY COUNCIL OF THE CITY OF APACHE JUNCTION, ARIZONA THIS 2nd DAY OF April 2015. SIGNED AND ATTESTED TO THIS 2nd DAY OF April, 2015. PHOENIX – As Arizona continues to build on its reputation as a world-renowned destination for bicyclists, our state has now received approval for its first U.S. bicycle route that will run through Arizona border to border while connecting to a national system of bike routes. The American Association of State Highway and Transportation Officials (AASHTO) approved the application submitted by the Arizona Department of Transportation to establish U.S. Bicycle Route 90, a continuous route through Arizona that connects to New Mexico and California. 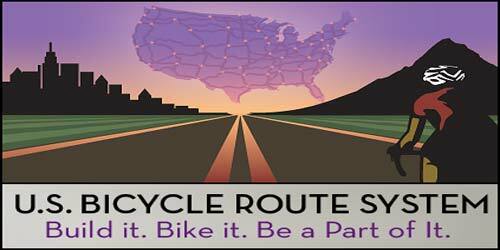 Arizona’s route, along with additional U.S. bicycle routes in other states, was approved at the recent 2015 AASHTO Annual Meeting in Chicago. AZ Highway 82U.S. Bicycle Route 90 winds through many of Arizona’s historic, cultural and tourist destinations, such as Bisbee, Tombstone, the San Pedro Riparian National Conservation Area and Saguaro National Park. Bicyclists are able to tour the sprawling cities and small towns of the Grand Canyon State with mountains and cacti in view—all diverse attractions that offer something for everyone and can be accessed on two wheels. For more information on ADOT’s Bicycle and Pedestrian Program, visit http://azbikeped.org. “It’s like a breath of fresh air. 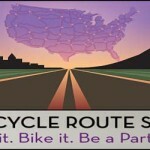 We need that connectivity throughout Arizona it looks like that route is going to do it,” said Eric Post, the president of the Greater Arizona Bicycling Association. Adventure Cycling Association (ACA), Routes and Mapping Director, Carla Majernik, her assistant, Jennifer Milyko, and Ginny Sullivan, Director of Travel Initiatives has been asked by Mike Kies, Assistant Director for Multimodal Planning, ADOT (http://www.azdot.gov/about/inside-adot/ExecutiveLeadership), what it would take for ACA to get US Bicycle Route 90 on their maps, if not aligned with their Southern Tier “ST” (as we were led to believe in November 2014 – see inserted message from Jennifer Milyko, “We anticipate that the ST route would align with USBR 90”), then at least as a “Southern Tier alternate” route (see inserted message from me to Mr. Kies on other ACA “alternate routes”). So I am reaching out to you for help. The critical part is the Phoenix to the New Mexico border because that is where eastbound Southern Tier and USBR 90 diverge. We need to hear from bicyclists that are using USBR 90 especially from Phoenix to the New Mexico border – any other evidence, testimonials, blogs, photos. · Bubba’s Pampered Pedalers http://www.bubbaspamperedpedalers.com/coast-2-coast). Pass this on to others?